The Far Ultraviolet Spectroscopic Explorer (FUSE) was a NASA astrophysics satellite/telescope whose purpose was to explore the Universe using the technique of high-resolution spectroscopy in the far-ultraviolet spectral region. The Johns Hopkins University (JHU) had the lead role in developing the mission, in collaboration with The University of Colorado at Boulder, The University of California at Berkeley, international partners the Canadian Space Agency (CSA) and the French Space Agency (CNES), and numerous corporate partners. 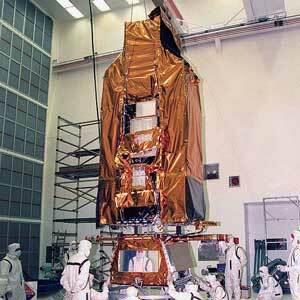 The FUSE satellite was launched on June 24, 1999, and operated until October 18, 2007. The mission was operated by a group of scientists and engineers from a control center in the Bloomberg Center for Physics and Astronomy building on JHU’s Homewood campus in Baltimore, Maryland. The primary FUSE ground station was located at the Unversity of Puerto Rico Mayaguez. NASA/Goddard Space Flight Center provided management oversight of the project. As of 2014, FUSE was still the largest and most complex astrophysics mission that had been operated out of a university setting.